If you have any feedback, feel free to leave a comment here. If you have a question or issue, please post it in the WordPress support forum. the plugin is awesome i really loved the new features you have added,you know i was waiting for this. 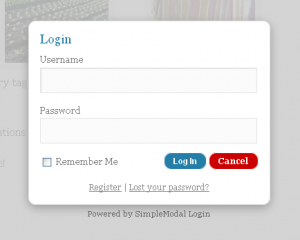 where should i add the wp_loginout function? @Ezhil - there seems to be an issue with redirecting. I'll be looking into it today and hope to have an update ready soon. Dude, first of all thanks for doing such a great work. But, no matter how hard i tried i wasnt able to edit/modify your plugin (im not that talented). Wouldn't be easier to share this amazing work as 1 php file, 1 js file and 1 css file for wordpress ? Would you provide me such a pack ? When the login pops up, my navigation menu shows up on top of the login, Is there any way to make the Login box always on top? 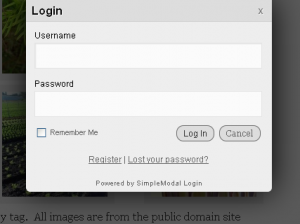 Using WordPress 3.1.2.